Are you in the mood for a different, yet familiar culinary experience? Well look no further than Birdrock Taco Shack. Once again, chef Dave Shiplett is breaking the mold of traditional dining, this time by offering a super casual, easy going, southern California beach styled taco shack in Bradenton’s Village of the Arts. A small, cozy, historic cottage, now restaurant, is adorned with beach and surfing paraphernalia which creates a warm “laid back” ambience. Just the right place for a beer and taco. A must try starter, perfect with the salty chips while you peruse the menu, chunky, fresh and flavorful. Great melange of flavors. An interesting mix of flavors. An Asian flavor inspired creation offering a balance of spicy sweet, creamy sauce. Vegetarians…rejoice! This dish is for you. A creative interpretation of the beet and feta salad. Fresh, filling, full of flavor. A fully loaded taco! Fun wow sauce both moistens and enhances the flavor of every bite. Delicious and non-traditional. Another balanced taco offering a sweet and spicy taste, great crunch contrasts with the soft texture of the fresh tortillas. We call this the “Comfort taco”, rich, moist, and very satisfying. 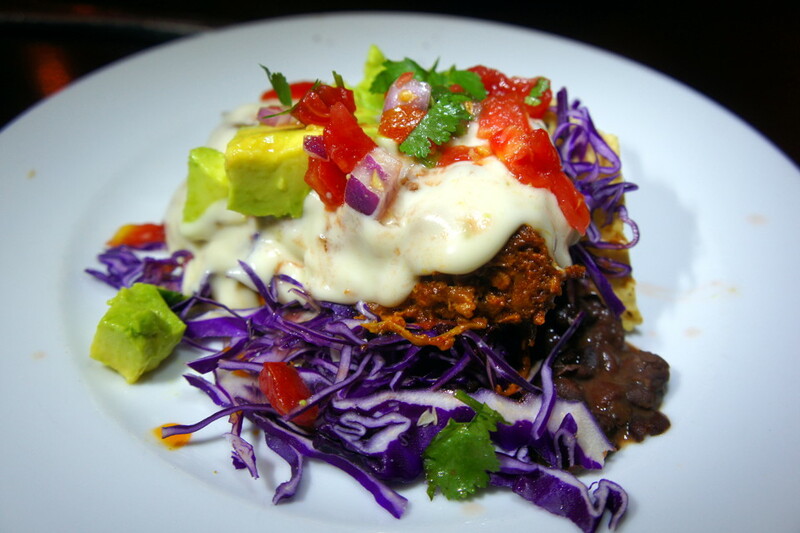 The corn tortilla needs to be doubled-up to manage “leakage”….so good. Yummy! This burrito is a full meal, huge; so stuffed you may need a knife and fork. A bit on the spicy side…just the way I like it. Crunchy with a very pronounced peanut sauce. Rolled, stuffed deliciousness. A must try for spicy lovers. 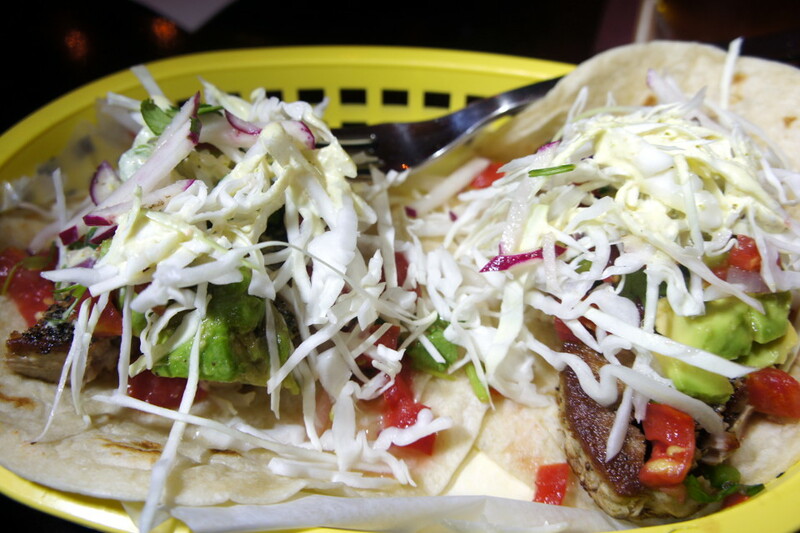 Fresh and simple…just the way fish tacos should be! 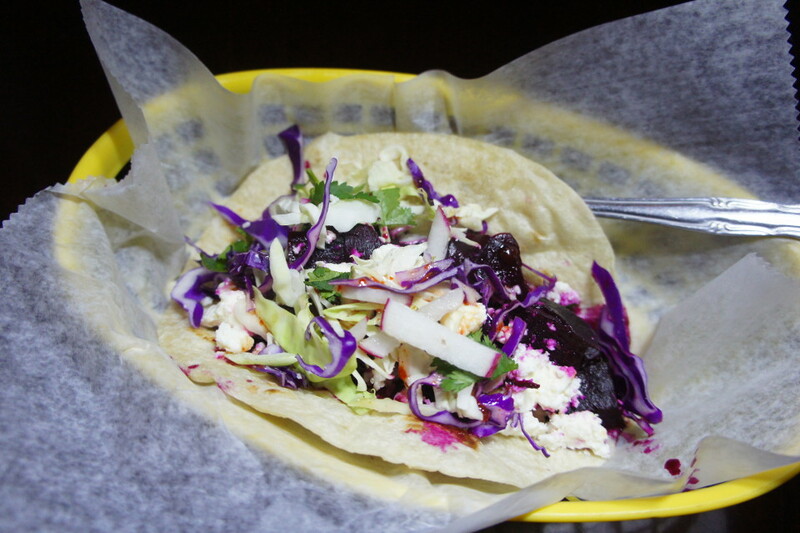 Another, more refined fish taco with fresh forward flavor…another great interpretation of a fish taco. 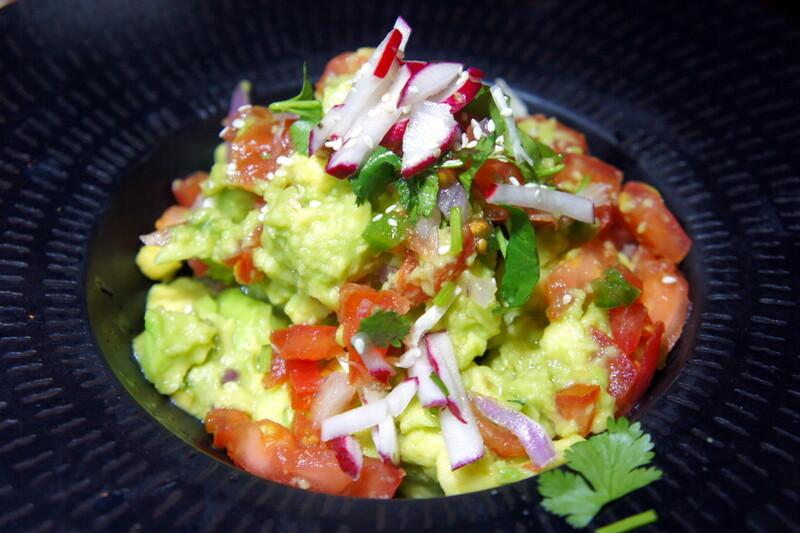 This dish provided a great combination of hot and sweet, strong and subtle flavors. Colorful, sweet, and spicy all in one. Loved it! Birdrock Taco Shack offers an adequate selection of craft beers, wine, and soft drinks to accompany your meal. The wait staff is friendly, fast, and efficient. 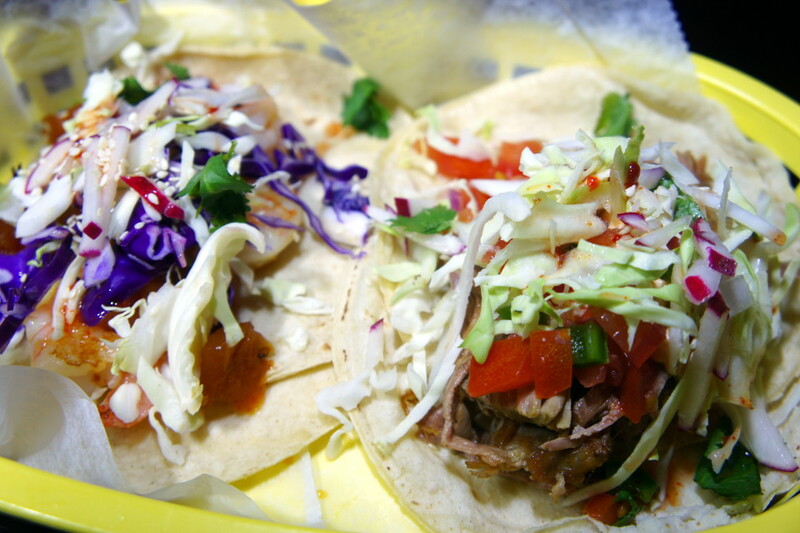 Since all tacos are made to order, there may be a slight wait, so ordering in waves is a good idea. 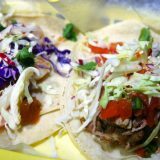 A classically trained chef bringing his years of experience and culinary creativity to a casual taco shack is a unique concept. Wrapping non-traditional ingredients, flavors, and textures in a fresh corn tortilla is a new and exciting experience. 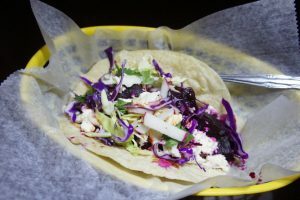 Chef Dave Shiplett is pulling it off by offering a multifarious experience at Birdrock Taco Shack. Try it if you seek something new yet familiar.